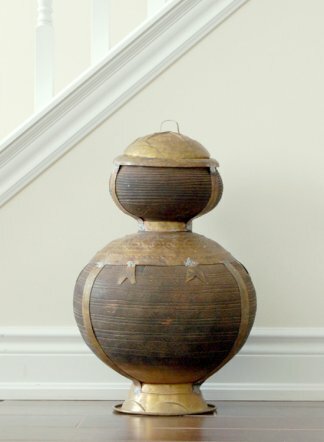 Large African clay pot. 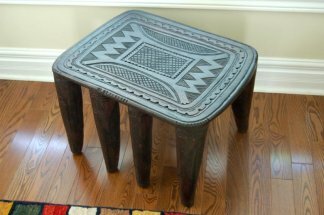 Imported from the village of Giri, in the Federal Capital Territory of Nigeria. 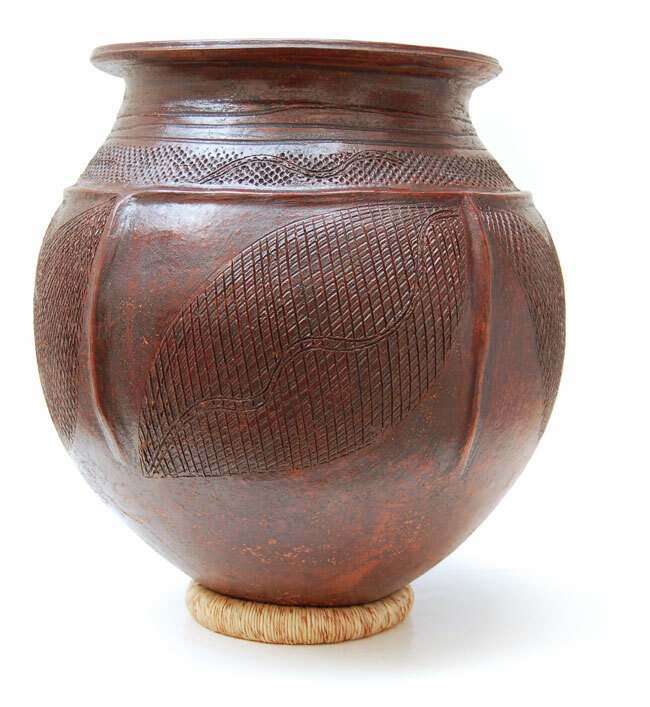 Traditional African clay pot, hand-crafted, etched and decorated by Nupe potters. 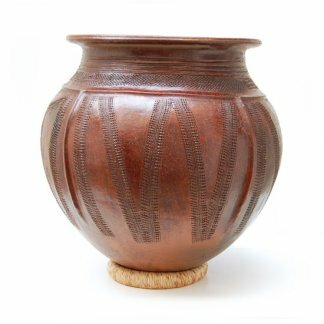 Each pot is constructed using hand-coiling and pinching techniques, then fired in an open kiln. 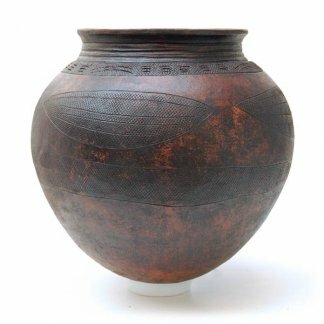 After cooling,each pot is naturally stained with a burnt ochre colored liquid that is derived from boiling a particular tree bark. 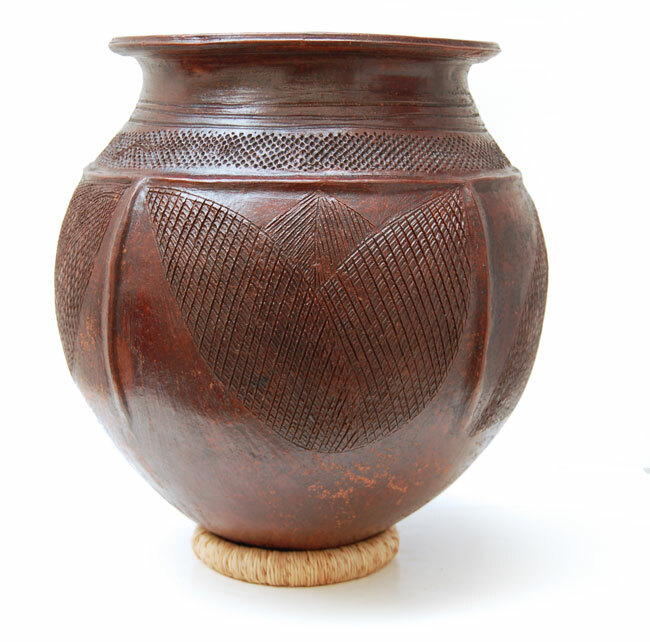 Over time, this glaze may take on a silverish patina if left to weather naturally. 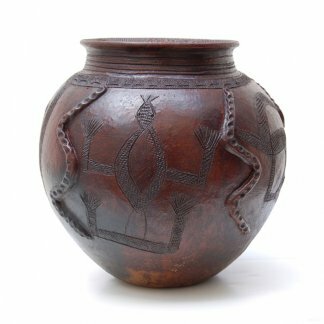 Hand-molded by Nupe potters in the village of Giri, Nigeria. 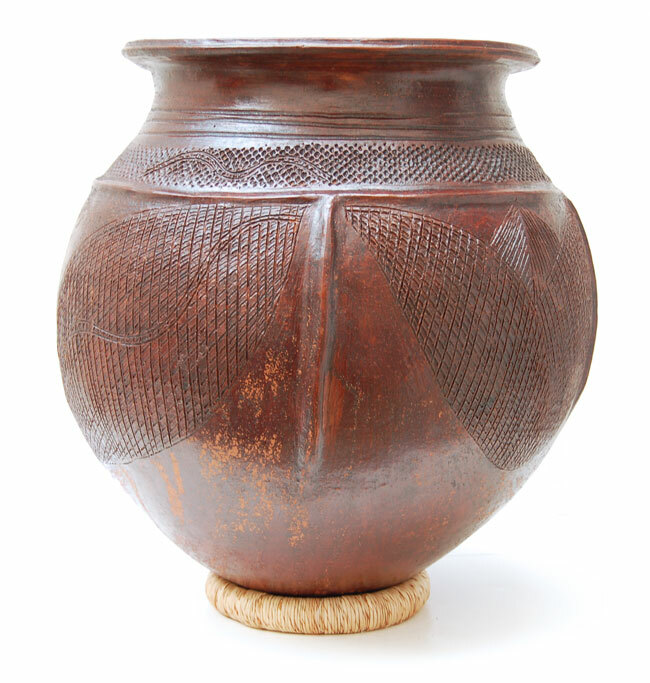 These large pots with rounded bottoms are traditionally used to store water. 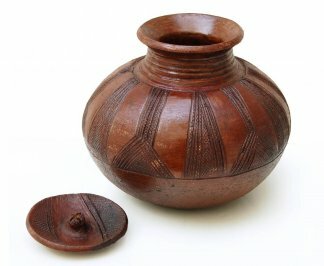 The pots are buried half-way in the ground thereby keeping water cool. 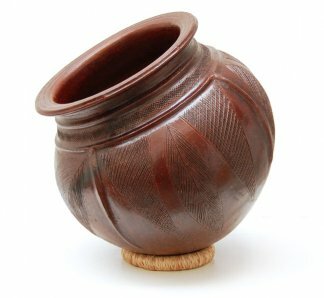 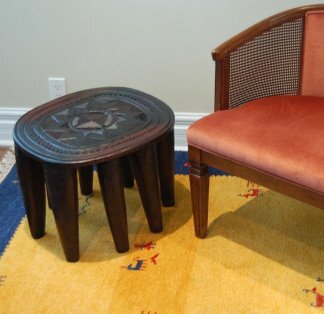 Works well as a focus piece indoors or in the garden. 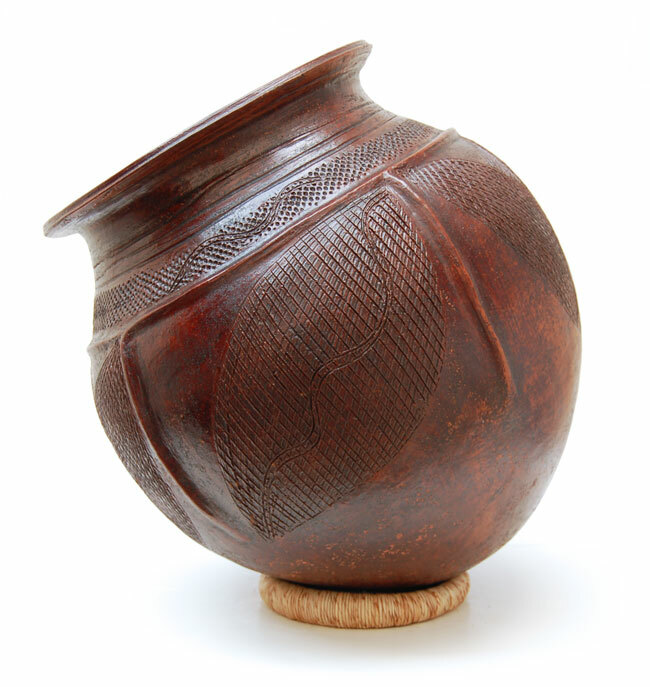 Easily adjust pot sitting angle with the included natural raffia display ring.